From award-winning authors Guy Lozier and Chris Pope come this alternate timelines saga, where the heros are not born of light but are drowning in darkness. The guardians of planet Earth have their hands full as the apocalypse approaches. One particular protector has found what appears to be the only hope of survival for planet Earth's population from the demons that will threaten to overrun the lands. While many of them are considered of dark origins and evil intentions have ruled some of them their whole existence, it is the right moment along the timeline that can change their future for the better. At least that is her hope. 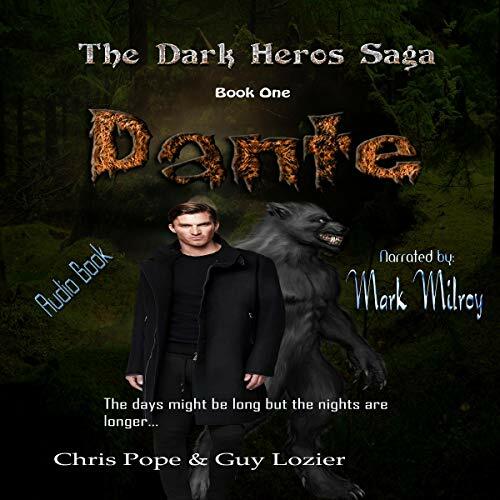 The first book of The Dark Heros Saga brings the origins of Dante to life. From his lowly beginning of a park ranger, he will find a new purpose to his existence. Once he encounters the evil ones of the night, his life will be transformed. If not for the love of a woman and the guiding hand of Van Helsing himself, Dante would likely have stumbled his way into unending darkness and despair.